There may be situations where you need to know the name of a built-in style in another language. This article lets you download a PDF document that contains the built-in style names in English, Danish, German and French. The style list contains a total of 267 built-in styles, representing the built-in styles in Word 2010. Thanks to Tony Jollans who provided information that helped me find missing style names in German and French. New built-in styles added in Word 2013 and Word 2016 are not included in the current version of the PDF file you can download below. However, you will find all built-in style names in English, covering Word 2003, Word 2007, Word 2010, Word 2013 and Word 2016 in the Word document you can download from the article Create List of Local Built-in Style Names. If you are not using an English version of Word, the document you can download via the link above lets you generate a list of all the built-in style names in your language version - you only need to click a button to do so. For further information about the problems that may occur if you create templates and/or macros to be used on PCs with different language versions of Microsoft Word installed, read the article Create List of Local Built-in Style Names. 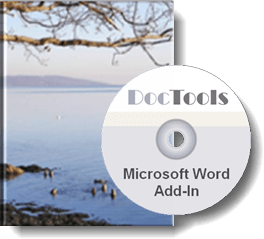 Note that the macros available in the above mentioned article lets you create a list of built-in style names in any available language of Microsoft Word, provided you have access to a PC with that language version of Microsoft Word installed. You will find more details on this subject in the article Create List of Local Built-in Style Names.